It just so happens that my Arabesque reverse appliqué quilt is the right size to cover it. 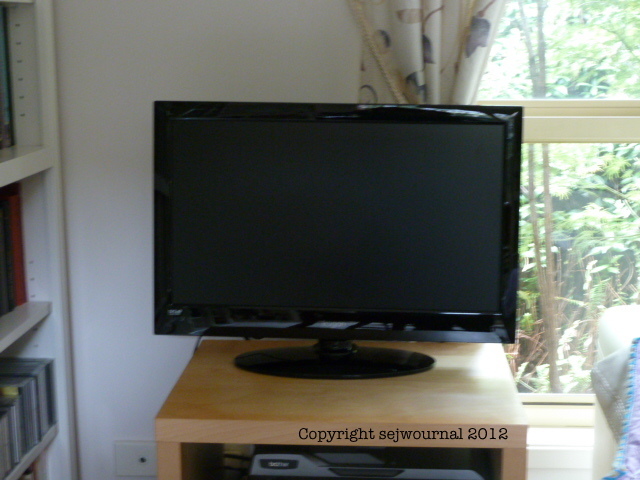 So, some elastic, two safety pins (don’t tell anyone)and a few minutes later the offending TV is invisible. We keep the TV unplugged when we’re not using it so there’s no chance of it overheating or anything like that. What do you think? Does it work or does it look seriously weird – or perhaps both? Oh, I’d say it seriously works! I’d never have thought of it, but it looks great. lol, it does look a little “different,” but it’s lovely and does the job it’s meant to do; and the bonus is that you get to see that lovely quilt all the time! 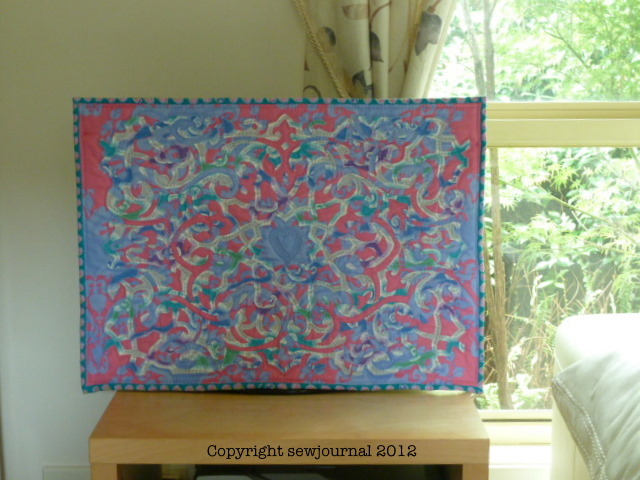 I’d much rather see that beautiful quilt than a TV! It looks like a piece of art on display. I hate the look of TVs too. Mine is small so it can live inside a cupboard which is shut when it’s not in use. The quilt is gorgeous so of course it works! HI from NZ! What a gorgeous quilt and a great idea. Looks great.